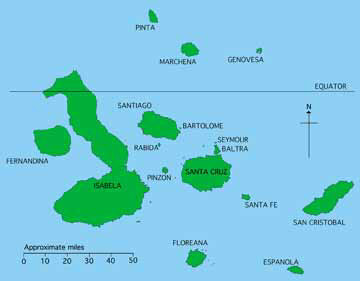 This simple map of the Galapagos shows the main islands and their names. A simple map is best if you just want to show the important features. Note the scale and compare sizes and distances between islands with much earlier maps. Cartographers say that a correctly drawn map must at a minimum always include a scale and indicate North, as this one does (learn more about maps).